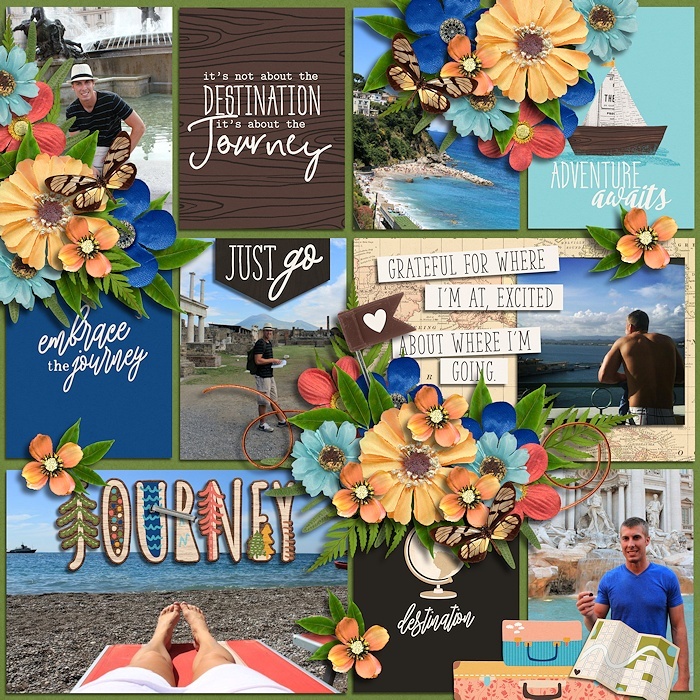 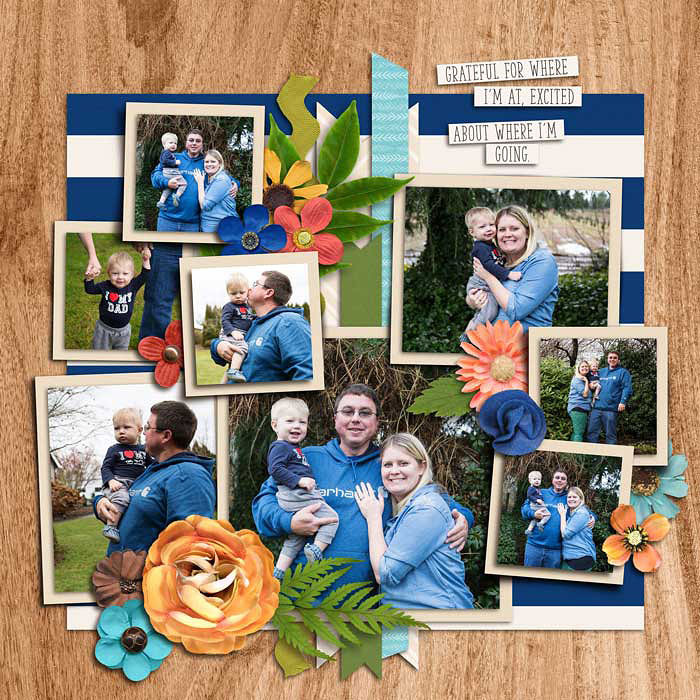 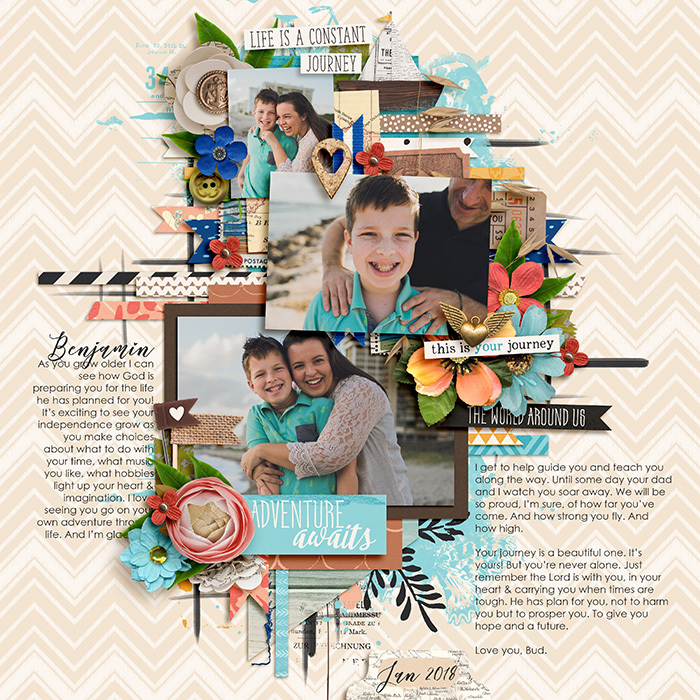 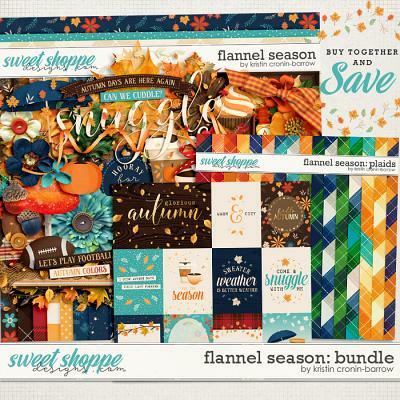 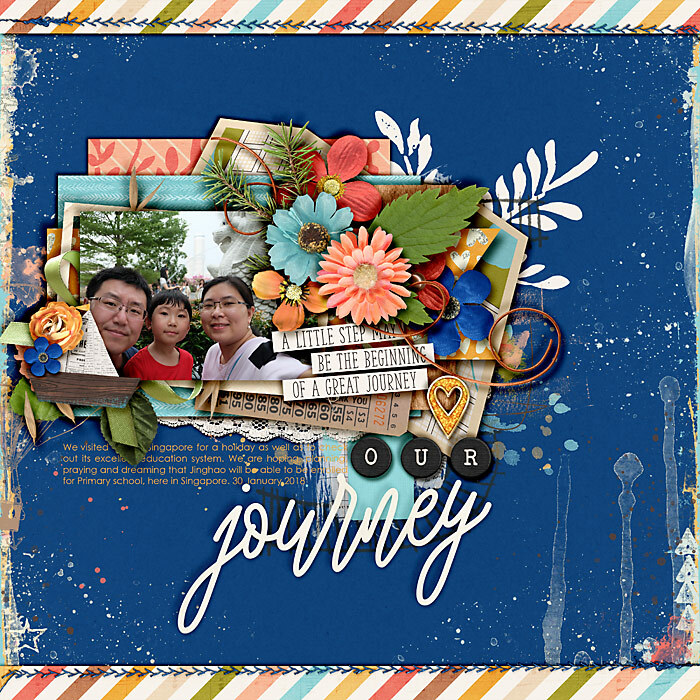 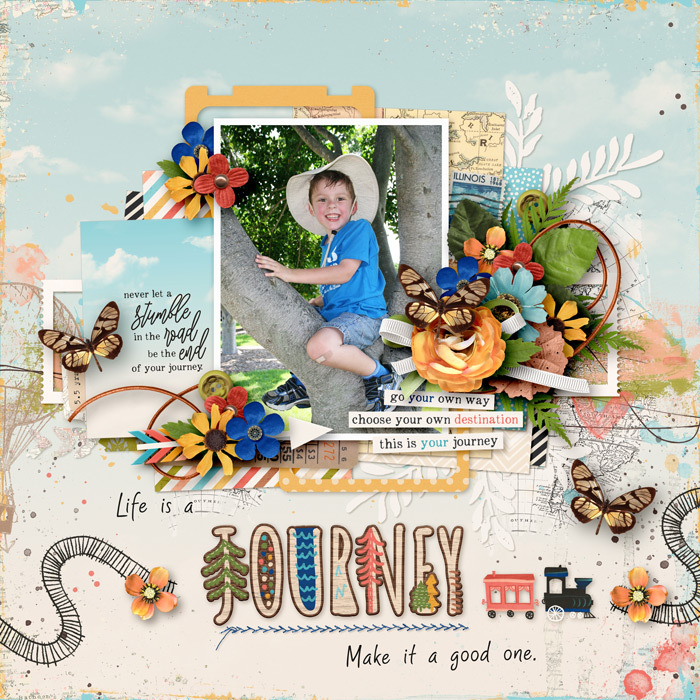 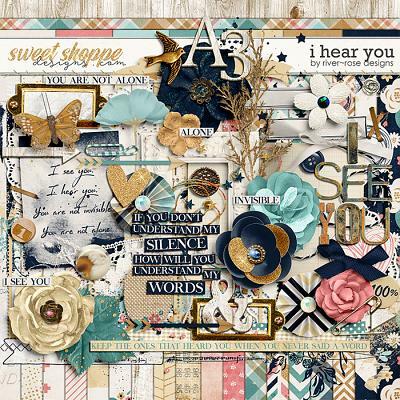 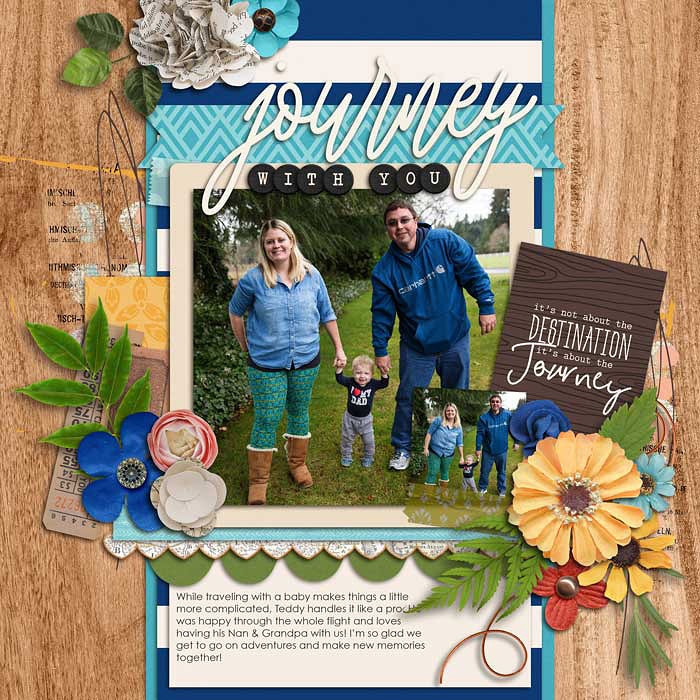 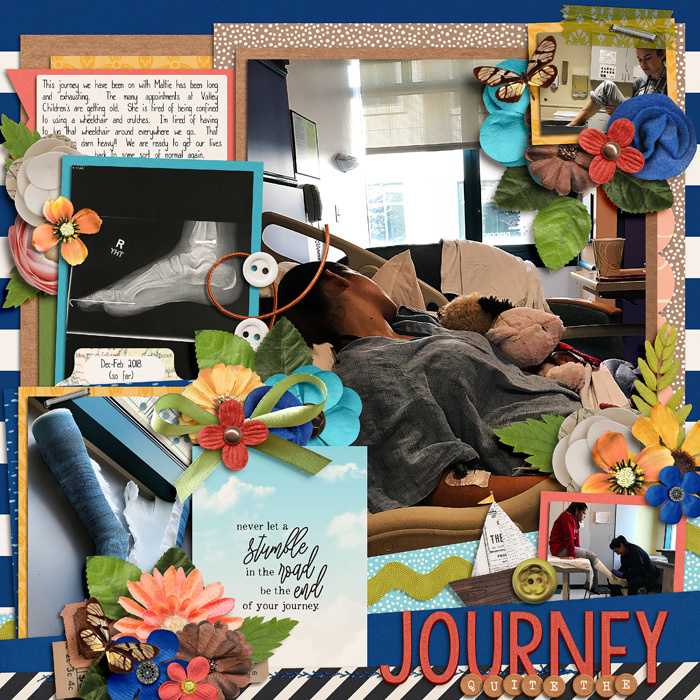 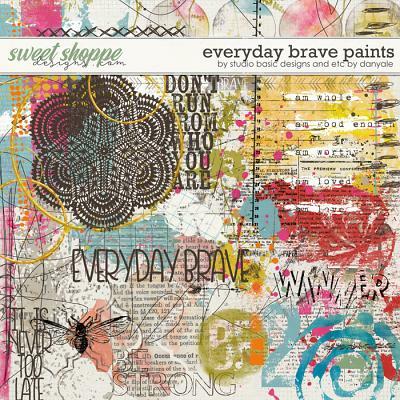 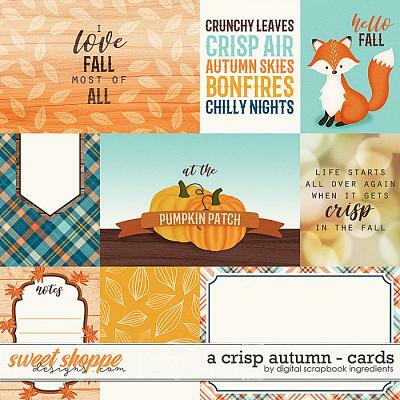 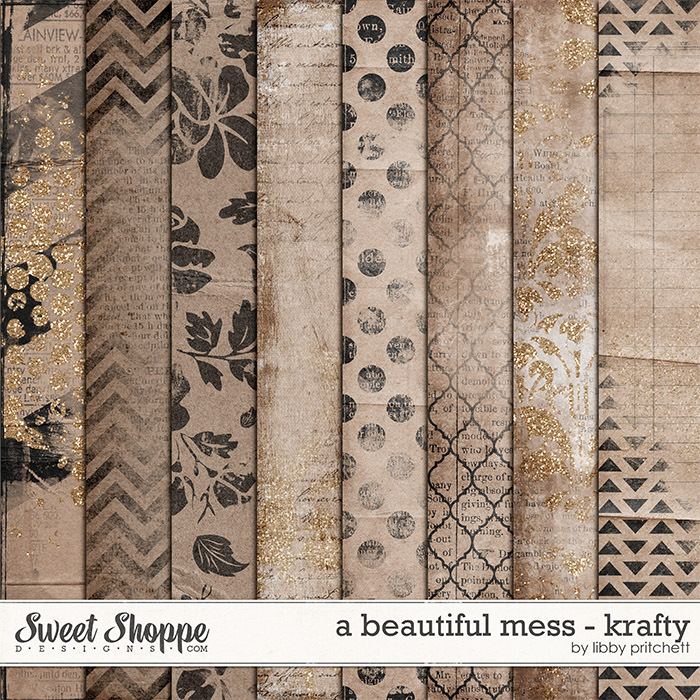 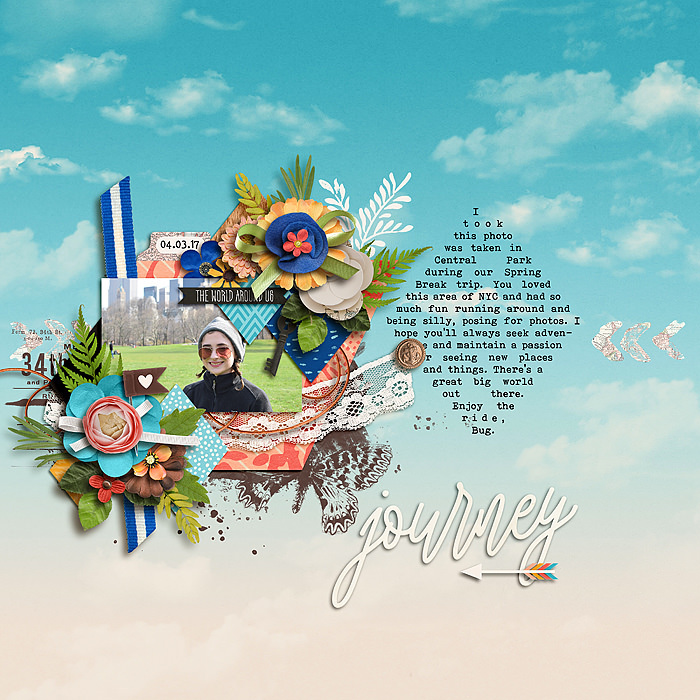 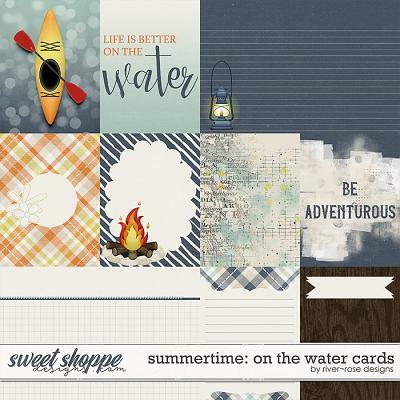 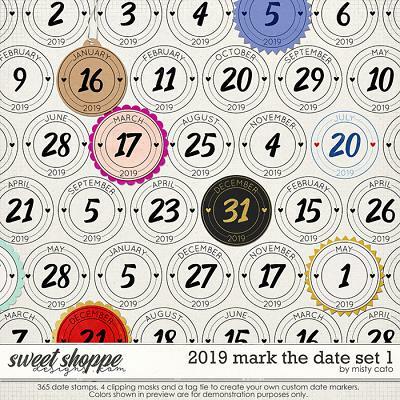 A digital scrapbooking bundle by Brook Magee, Kristin Cronin-Barrow, & Studio Basic Designs, ‘All My Journeys’ is a sweet vintage-style celebration of where you have been and where you’re going. 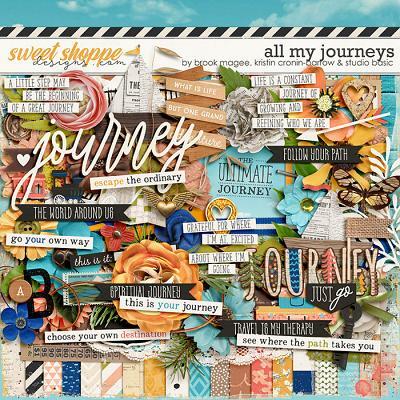 Whether your journey requires tickets and passports or is simply in your heart & soul, let ‘All My Journeys’ paint the story with you, in soft peaches, blues, greens and golden yellows, thoughtful word art, and delicate finishing touches. 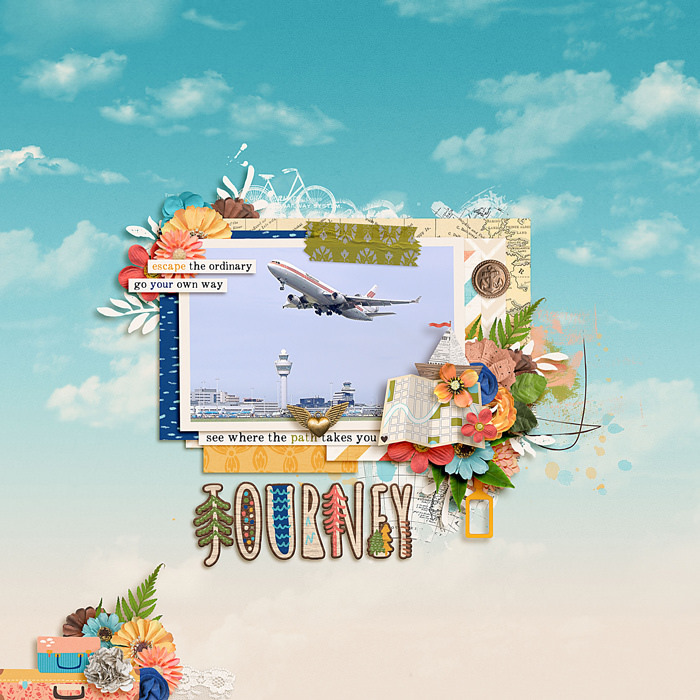 Spend time exploring your memories, daydreams and gentle spirit with this beautiful, comforting kit. 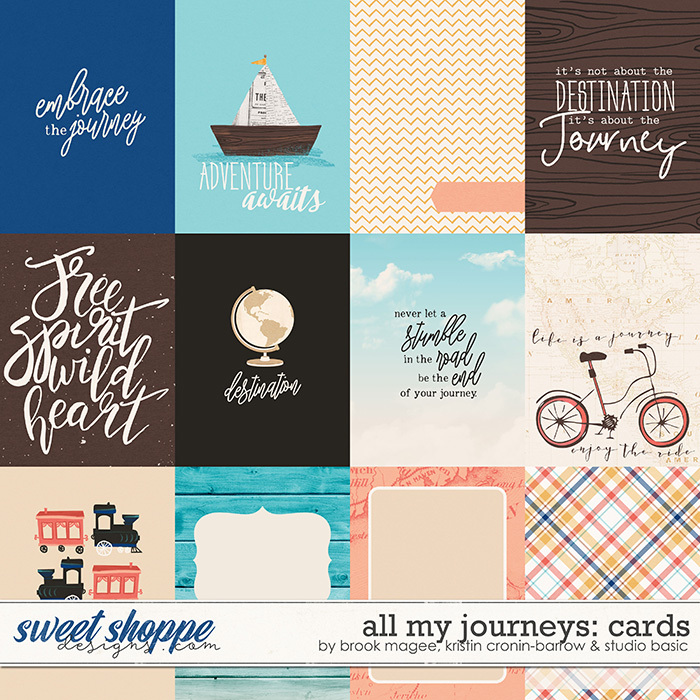 ‘All My Journeys’ contains: 19 patterned papers (plus 5 alternative versions), 14 background papers, 100+ elements, 3 alphas (A-Z, numbers 0-9, and some symbols. 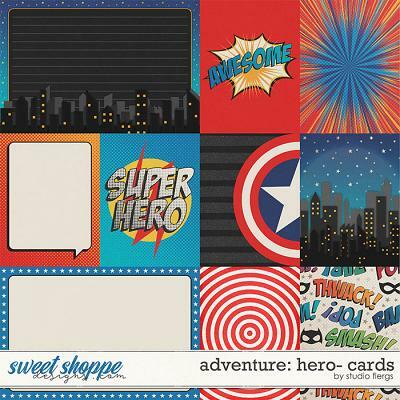 Saved on png sheets) and a total of 12 3x4 thoughtful cards, each saved as individual .jpeg files.